Their 1978 release available on CD for the first time! Kate & Anna McGarrigle appeared on the scene in 1976 with their self-titled debut and a follow-up in 1977. While those two titles have been reissued throughout the years, their third album (which has been out of print since its initial vinyl release) has never been available on CD or digitally. 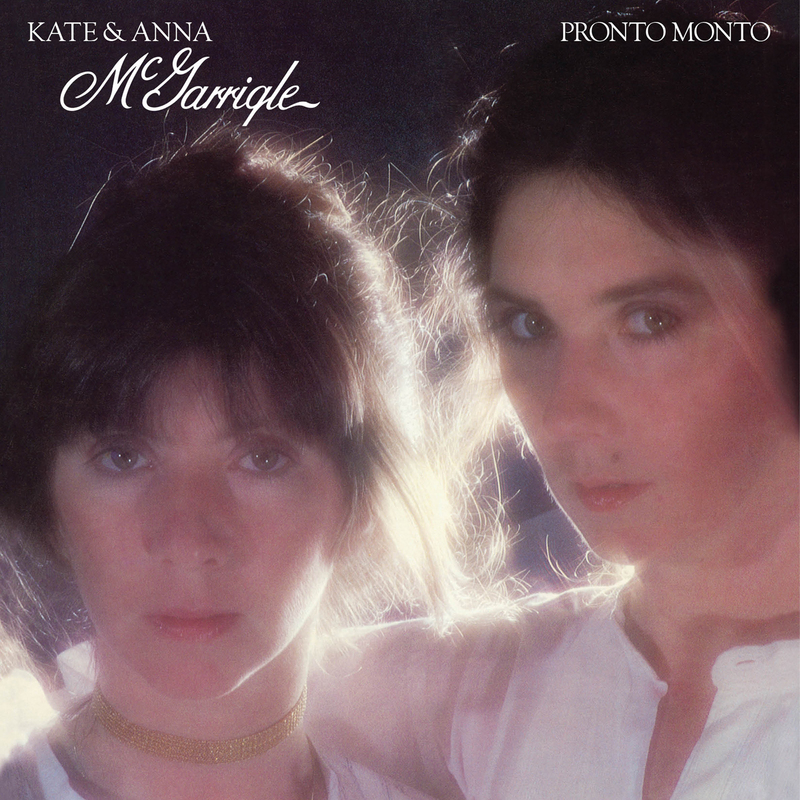 Despite its many charms, it’s probably been the least-heard Kate & Anna McGarrigle album. That is about to change. Pronto Monto (a play on the French for “take your coat”) appeared in 1978, and featured the sisters’ gorgeous vocals and impeccable songwriting, as well as covers and a new track penned by the album’s producer David Nichtern—whose “Midnight At The Oasis” was nominated for multiple Grammy®s in 1975. Coincidentally, that Muldaur album was released at the same time that Anna’s “Heart Like A Wheel” became the title track of Linda Ronstadt’s breakthrough. Backing Kate & Anna on Pronto Monto were a veritable who’s who of studio aces including Grady Tate, Steve Gadd, David Spinozza, Tony Levin, Bernard Purdie, and more. This long-time-coming reissue features the release’s original 12 tracks, newly remastered by Grammy® winner Michael Graves, as well as photos, lyrics, and a new essay from Mark Leviton from conversations/remembrances from Anna McGarrigle, David Nichtern, Lenny Waronker and Joe Boyd. Out of the marketplace for far too long, Pronto Monto finally reclaims its place in Kate & Anna McGarrigle’s stellar canon. For those who have never heard it, it will be a revelation. For those who have, it’s wonderful to welcome it back—almost 4 decades later.